Oh my goodness, I feel like I have so much to tell you. Has it really only been two days since I last posted? 1. 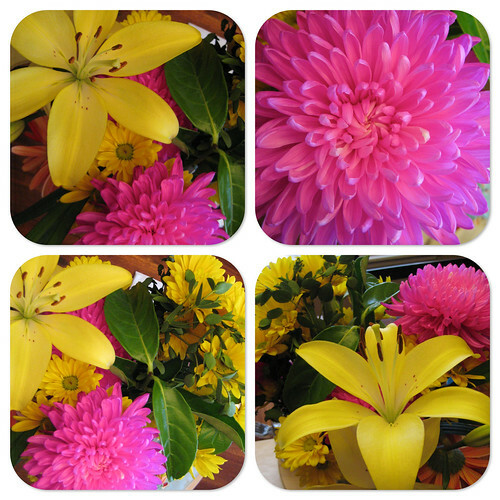 We have some gorgeous flowers on the dining room table that some friends brought over when we cooked them dinner last weekend. They started pretty, of course, but over the last couple of days the lilies have blossomed. But then again, I love neons. 2. Today was a phenomenal mail day! 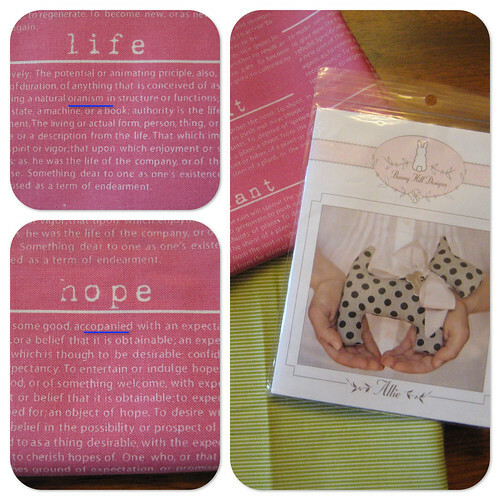 Second, [well this really came in the mail on Tuesday] I got my winnings from the last Fab Shop Hop. I finally got a store certificate that I found something to spend it on. I got two half yards of fabric from an older Sweetwater collection, Sunkissed, and a Scottie pin cushion pattern. The pink fabric is currently cracking me up because there are so many spelling errors in the fabric. I have underlined two that I found. Spellcheck anyone?! Third, I got some Curious Nature from the Fat Quarter Shop. On Wednesday, a bundle popped up for 2 pounds of Curious Nature for $24. 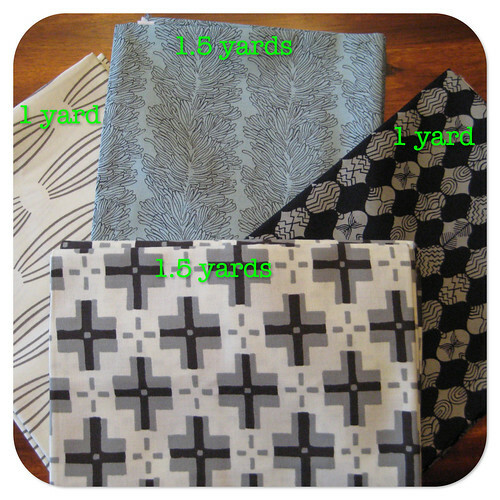 This worked out to be 5 yards of fabric for $24 [or $4.80 a yard]. Total steal! The fabric came from the extras when they cut for quilt kits. 3. 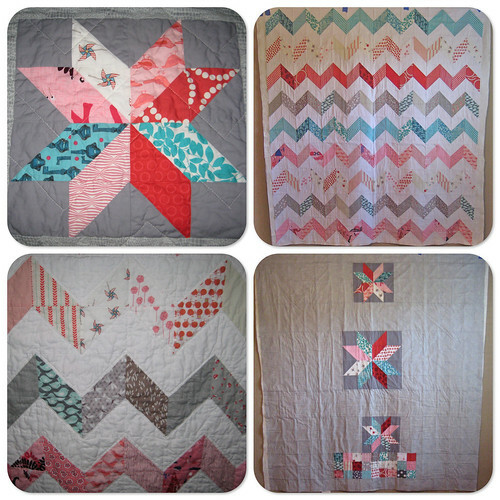 I mailed out the Etsy commissioned quilt earlier this week, without taking very good pictures. It should get delivered to its new house today! 4. Here is a preview of a new project that will have more pictures in the future, but not too long future. 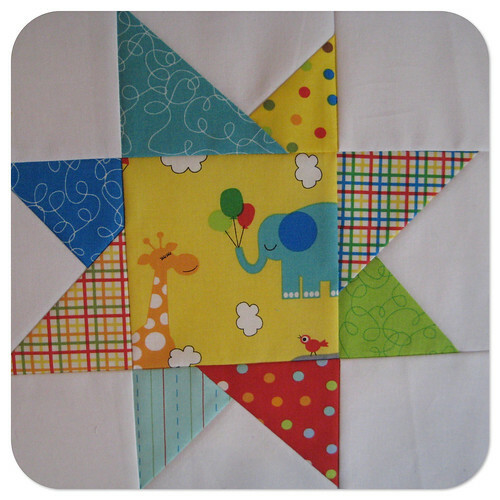 :) I am looooving this fabric group. 5. 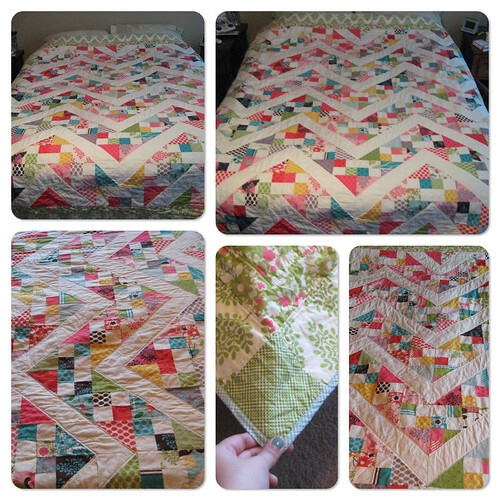 I went finally quilted and bound and washed and finished the 'Its a Hoot' Queen quilt. [Confession: we slept under it for a week before I bound and washed it!] I am/was going to fancier quilt in the zigzags but that is becoming more unlikely as the days go on. I just echo quilted in the white zigzags and around the borders. Phew, I think that's it. Here's to hoping this weekend is as good as the past few days have been.